It's official. It's beginning to look a lot like Christmas. I love Christmas. I love the lights, the scents, the flavors, the giving, the music, and the family memories. You know what my kids love? Candy canes. Of course they love more about Christmas than just candy canes, but seriously, candy canes are right up there. For months now I've been eagerly anticipating December, so I could set up all of the candy cane activities I've been planning. Well, I can't wait anymore. I know it's not December, but I am ready to get started. 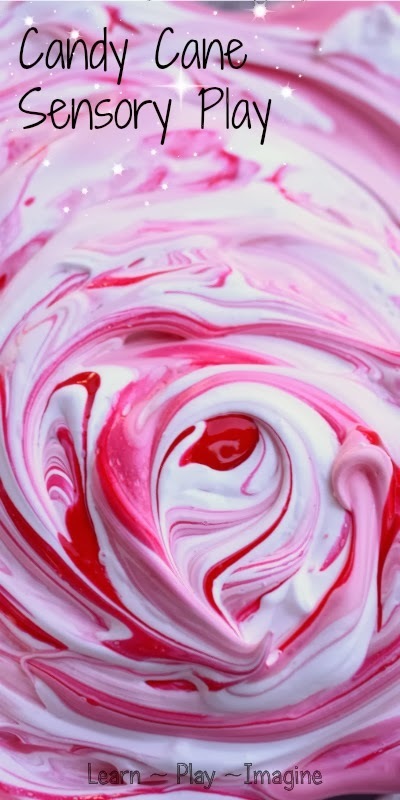 The first candy cane activity I am sharing is a very simple Christmas recipe for play, peppermint shaving cream. It's no secret that we love shaving cream sensory play. It's quick, inexpensive, and so much fun! A few of our recent activities with shaving cream include combining Kool Aid and shaving cream, shaving cream and water beads, and shaving cream and watercolors. As always with shaving cream activities, making peppermint shaving cream is incredibly simple. Directions: Combine shaving cream, paint, and essential oil. Only a few drops of oil are needed to overpower the shaving cream scent. 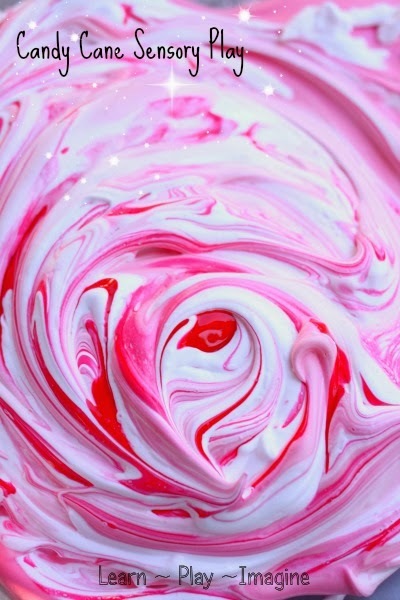 To make candy cane shaving cream, add the paint in swirls, then mix slowly. The results are gorgeous and sure to remind your kids of Christmas. Please note: These supplies are all safe for children as long as they do not come in contact with eyes. To avoid any issues I keep a towel nearby as well as a small bowl of water to wash hands quickly when needed. My twins are 28 months old, and I only recently became comfortable letting them explore with these materials. You know your child(ren) best. Only use materials you are comfortable. As you can see, this Christmas recipe for play became a full body experience. I will admit that this isn't what I had in mind when I set out to make peppermint shaving cream. My boys are very good at asking me before making a mess, and I am comfortable with this sort of play. Despite the fact that it is mid November, it was in the mid eighties when we made our candy cane shaving cream, so I was easily able to rinse the boys off with the hose. Obviously this is not always an option. 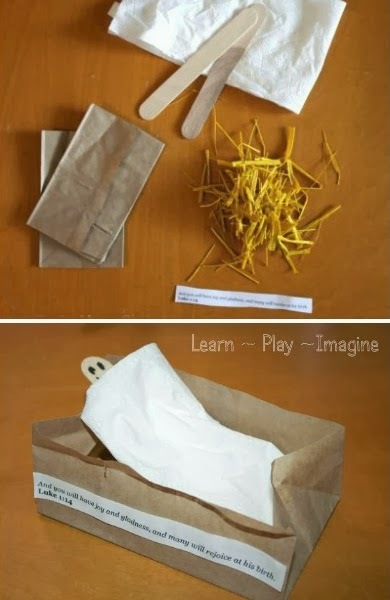 These materials are all bathtub safe, so taking messy play into the tub is always a fun option. Here are tips for messy play as well as laundry tips to avoid stains and keep clothes bright. For more candy cane activities and Christmas recipes for play follow me on Pinterest. I love that he went all in when playing with the candy cane activity. I have pinned this post. Do you know if a different kind of paint could be used? My daughter is allergic to eggs, which is found in tempera paint. Yes any paint would work. :) We've done it with liquid watercolors.